The ultimate guide to Avoriaz ski holidays in 2019 & 2020. 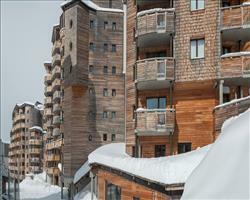 A purpose built resort with character, Avoriaz’s wood-clad buildings have a striking appearance that set it apart from other destinations. Even more striking is the 360° panorama of the Alps – Avoriaz is located right in the centre of the stunning Portes du Soleil. Completely ski in/out, a holiday in Avoriaz means you don’t have to lug your equipment around and can maximise time on the slopes. It’s also completely car-free and has a new car park and arrivals area where you can unload luggage and travel by horse drawn sledge to your accommodation - a charming start to your ski holiday. 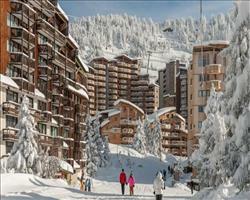 November 2012 saw the World Snow Awards vote Avoriaz the ‘Best Family Resort’. It’s a top destination for kids learning to ski and snowboard thanks to the central children’s village and offers some fantastic family activities indoors and out. A huge attraction for families and non-skiers is the incredible Aquariaz water centre, where you can relax in a tropical climate while looking out over the snow-covered Alps (bizarre but very enjoyable). Off slope activities certainly don’t stop here and contribute to a lively and varied après scene that suits all ages and tastes. A pioneering European snowboard destination, France’s first terrain park was built here in ‘93 and nowadays you’ll find 5 fantastic parks including a superpipe. Known as ‘Avoriaz 1800’ for its high altitude, this is the best place to book accommodation in the Portes du Soleil if you’re looking for great snow. The local pass gives access to 130km of varied high altitude pistes while for those seeking more, the Portes du Soleil pass covers a massive 650km of terrain over 12 resorts in France and Switzerland. View our detailed Avoriaz snow forecast or snow report and see all live webcams, piste maps, road and travel maps and lift pass prices. For a picture of historic snow conditions see the snow depths month by month with our Avoriaz snow history. This is one of our favourite resorts to bring the brood: thanks to a huge and central children’s village, complete with a specialised snowboarding area, children can learn to ski and ride in a fun and safe environment. Avoriaz is one of the only resorts that has a Beginner Pass – letting you find your feet on easy terrain via 14 lifts without the expense of a full lift pass. Beginners-only piste Première Glisse gives you the chance to improve at your own pace, while Proclu and Q’mont are easy blues for cruisey snowploughing. Intermediates have a good number of runs and can upgrade to the bigger area pass for more variety – we like the long blue down Mossettes while Blanchot and Alpages are two good reds. With great freeriding terrain, a massive 120m superpipe and 5 snowparks, Avoriaz welcomes snowboarders with open arms. La Chapelle is the most popular park, with red, blue and green kickers for freestylers of all abilities. Developed by Jake Burton as a fusion of freeriding & freestyling, eco-snowpark The Stash has 3 runs through the Lindarets woods including 100 natural and wooden features. Burton Kids Parkway and Lil’Stash are two gentler areas for beginner freestylers and the Arare boardercross is great for the whole family. Nearby, experts might prefer the Arare Snowpark which has an airbag jump. While Avoriaz isn’t renowned for its nightlife, it nevertheless has an array of restaurants, bars and off-slope activities that contribute to a lively après ski scene. Le Tavallion is an English themed pub for a home-from-home atmosphere, Shooters is good for party-lovers while Le Choucas and Le Yak tend to be the venues of choice for late night clubbing. With sister restaurants in glamorous St Tropez and Marrakesh, La Table du Marché is a place to fine-dine in style. Alongside a few of the pubs, Chez Flo serves up hearty dinners and for a pizza restaurant in Avoriaz, try Piz'Burg. 2400m2 of tropical paradise can be enjoyed by all ages in new water centre Aquiraz. Children will love the tree house, paddling area and water playground, there’s a huge slide and ‘Tarzan rope’ for the adventurous while those seeking a more relaxing environment will appreciate the jacuzzi and waterfall in ‘lazy river’. Other indoor activities include a bowling alley and cinema. Outdoors, there’s plenty of activity for all ages: You can go ice skating, husky sledding, snow-shoeing, snowmobiling, paragliding, ice diving and night sledding. When is the best time to ski Avoriaz? Avoriaz was France’s snowiest resort in the 2011/2012 season and it offers the best access to high altitude skiing in the Portes du Soleil. With 70 snow cannons as well, snow conditions are reliable from December to April. The Portes du Soleil area has an average snowfall of 8m a year, slopes facing N, S, E & W and 900 snow cannons so you’ll find skiable terrain throughout the season. If you’re an après ski and music lover, Avoriaz is the host village for the Rock the Pistes festival on 20th -24th March and there’s also a great Jazz festival on 6th -13th April. The resort is humming with activity during Christmas and New Year and thanks to it being a top family resort, during school holidays too. Avoriaz was voted the ‘Best Family Resort’ in the 2012 World Snow Awards and it’s not hard to see why – the resort caters excellently for families both on and off the slopes and has some excellent family-friendly accommodation. If you’re looking to save money, check out self catering properties like the Antares Apartments. These have a hard-to-beat ski in / ski out position right in the resort centre, less than a minute from the nursery slopes and ski kindergarten and only 5 minutes walk to the crèche and ski school meeting point. Self catering can work fantastically for some, but if you prefer the cooking done for you, stay in one of our family friendly hotels. 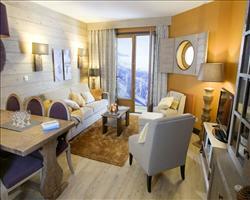 Club Med is hugely popular for families and has a brilliant ski in / ski out location. Hotels with childcare facilities are ideal if your children are too young for ski school and properties with an on-site bar can work well too if you want to enjoy some adult drinks while your children are nearby. This is a brilliant place to introduce your children to the mountains - it has a fantastic, centrally located children’s area offering a fun and safe place to learn to ski or snowboard. With 5 snowparks, more experienced children can learn and practice some tricks. If you’ve all skied tons of times before, consider getting a guide for a family trip around Portes du Soleil’s best powder. Avoriaz is a short, 1 hour 40 minute transfer from Geneva airport, so if you book one of our accommodation, flights and transfers packages, you won’t have to worry about wasting precious time on the road. Select your nearest airport in the search below to make things even easier. This is also one of the closest ski resorts to Calais if you’re planning to drive – select ‘self drive’ instead of an airport for our accommodation and channel crossings packages. Surrounded by the vast and varied Portes du Soleil offering a ski area and resort with something for everyone, Avoriaz is an excellent place for a group ski holiday. If you like the idea of private rooms and communal space and facilities, book everyone in to one of our fantastic hotels - Club Med is a popular option and is one of our largest hotels, so any stragglers wishing to join up later may well find a vacancy. 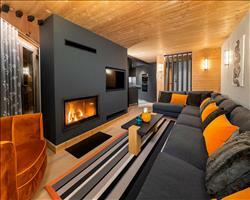 On a smaller more intimate scale, our ski chalets are ideal for a group getaway. 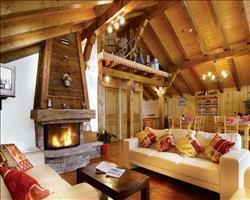 Chalet Les Lauzes sleeps 10 and if you have a group size to match, you can enjoy sole occupancy. 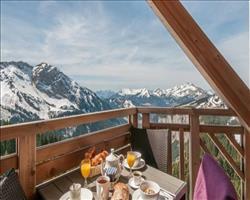 All of our hotels and chalet holidays come with meals included, check specific properties for more details. Groups planning to party will enjoy a lively après ski scene – easily accessible from many of our properties. Check out English themed Le Tavallion for a home-from-home or head over to Shooters and Le Yak for some proper partying. If there’s anyone in your group taking lessons, book a property near the ski school meeting place to make things easier. If you’re looking for a resort that will keep non-skiers happy – you’ve found a winner in Avoriaz thanks to the new Aquariaz centre where you can swim, relax and be pampered. Book everyone on a trip to the mountains in a package with flights and transfers or channel crossings if you’re planning to drive. If it’s proving too difficult to find a journey to the slopes that works for everyone, check out our accommodation-only deals. It’s an acquired taste (Avoriaz is purpose built) but I definitely prefer the area to the 3 Valleys; I think the Portes du Soleil is the best ski area in Europe. It has several distinct advantages over the 3 Valleys too – it’s only about an hour from Geneva which is a much shorter transfer, and the lift pass is also much cheaper. The skiing is generally quieter and easier, so it’s better for families. The skiing is all natural as well, the pistes haven’t been bashed into place, they exist naturally. There is loads of off-piste, but there isn’t so much challenging stuff, you have to go looking for it. Of course it’s not as high as Val Thorens, but Avoriaz has the best snow record of anywhere at 1800m. I saw 9 seasons of good snow here – not one year did we have bad snow, even early and late in the season. It’s mainly north-facing slopes, so the snow doesn’t melt or get slushy when it’s sunny. The runs on Arare-Hauts Forts area all face the buildings and are northerly, so the snow is always good here, even in late April. There is a great snow park and a fantastic ski cross. The Fornet area is very good too. Go up the Floret lift and go left – there’s a fantastic run which is usually unpisted with jumps and ridges and moguls to play on. For the best views go to the Mossette area. From here you have 360 degree views of the whole area, and you can ski along the ridge. All the mountains you can see from the other side of Mossette are named after teeth… Dents du Midi, Dents Blanches... You can see over to Switzerland. 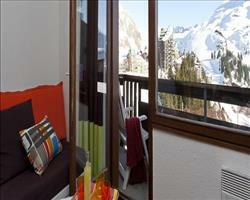 The French part of the Portes du Soleil is much better than the Swiss side. The French have spent more on their lifts, some of the lifts on the Swiss side seem to be from the 1960s! There are lots of T-bars too. You can do a ski safari over to Switzerland from Morzine/Avoriaz, it’s about 75km all the way. Just be warned there is a mile and a half on a flat T-bar, not much fun for snowboarders. Avoriaz is brilliant for snowboarders, you can ski the whole area without having to get any drag lifts at all. Linga on the Châtel side is a favourite. There is a brilliant mountain hut called “the Bear” which has 1000 stuffed bears, it’s a nice place to stop with the family for a 10 o’clock hot chocolate. It’s quite expensive of course. There is also another novel restaurant on the Linga run which has a tree growing through the roof and tables made of slate, that’s a place definitely worth visiting. The best run in the whole Portes du Soleil area is near Linga and Les Lindarets, on Cornebois. Go up with the Cornebois chairlift, then turn left and ski along the ridge. Then you can go down a stunning red run which goes through a series of gullies and catches the sun beautifully. It’s wide and you can sweep from side to side. When I guided I used to take clients here and it was one of those runs that people wanted to do over and over again. If you look carefully at Avoriaz from above, you’ll notice that Avoriaz town has been built to mirror the shape of the mountains behind it. It’s worth going up high and seeing if you can spot this. "Group of different level skiers"
My son used to race, I’m a happy off piste skier, my wife’s an intermediate and my nephew was a beginner. We all skied together which Avoriaz is great for as on some of the runs you can ski down the piste or ski off piste between the trees – and all meet at the bottom. It’s a nice ski area linked to Switzerland and we went across the border a couple of times. 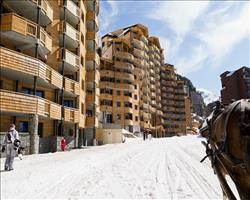 The resort has no vehicles and it’s quite nice using horses and sleighs. One reason we chose Avoriaz is that it has the extra height that Morzine doesn’t. We were very lucky as there had been a massive lack of snow for a month beforehand but when we arrived there was a big dump – so we got the timing just right. In all it was a good week and I’d go back. 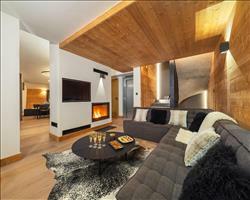 I spent a week in Avoriaz with my other half in Chalet Perce Neige at the end of March. The resort always divides opinions but I believe the architecture is quite striking. The large complexes are built in dark wood, designed to blend into the background and look like a snow covered cliff from afar. If you prefer “chocolate box” resorts but would still like to ski the Porte du Soleil ski area, you would probably prefer to stay in Morzine or Les Gets as these are less purpose built and have more chalet accommodation. It’s really snow sure- when we stayed it was 24th March and Avoriaz had 160cm of snow, with a lot more forecast for during the week. It was the Easter holidays and I could see why the resort was so great for families. You can ski through the centre on blue and green runs as the whole resort benefits from being traffic free, most of the accommodation is ski in, ski out or very close to the pistes. It has a lot of shops, restaurants and a decent sized supermarket for self-catered guests and there’s a cinema, bowling alley, horse-drawn sleigh rides and the Aquariaz water park for non-skiing activities. 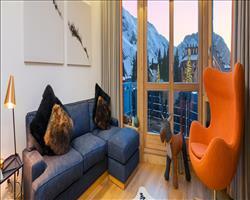 The skiing area itself is varied and extensive and offers something for everyone. There’s also the most ridiculous number of mountain restaurants to choose from if you enjoy your lunch with great views. I’d recommend “Les Lindarets” area of the ski map, everywhere we stopped there was lovely and “Le Yeti”, just above the town, was great as well. We thought Avoriaz was brilliant, it’s a love it or hate it place in terms of the look, but we loved it – it is what it is. The ski area is perfect for kids with some amazing blue runs. Some were more like reds being quite steep in parts, but that was perfect for our boys who love a challenge. The French were so friendly and the guys on the ski lifts were amazing. 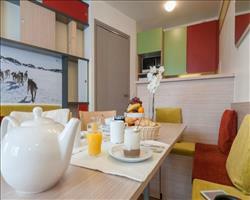 The whole place is very child friendly – you can hire a sledge and go sledging, ice skate etc. The Evolution 2 ski school was brilliant and their instructors are fantastic, we will definitely use them again. 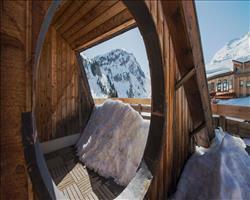 "Cool resort, friendly people, charming area"
We would definitely ski Avoriaz again. We only took the pass for Avoriaz when we stayed here but if we went back we would take the full area pass (my husband is a competent boarder and was a bit bored by the middle of the week). The area is so charming and lovely, with little shops and restaurants in the village. Avoriaz is a really cool resort, with friendly people. It’s a real family place but if you want to do nightlife and go out you can, although it’s a bit sleepy and most places are closed after 12. We did our homework and booked outside UK school holidays but we didn’t think about the French schools and on the last week of February it was very busy- the queues for the lifts were full on so we’ll definitely check both UK and French school holidays next time. I hadn’t seen those queues before but it’s just a popular place because it’s so great. "Great week, would definitely go back"
I’d definitely recommend Avoriaz, it’s a really good resort. There’s one resort half way up the hill that you can ski down to (the one that the bus stops off at on the way). You can also ski up another valley but we didnt find it very good, the lifts were really busy. Everything on the Avoriaz side is really good but it’s a bit of a long haul to go over to the other bit, you end up spending more time in lifts than on the slopes. The snow conditions were really good and we had no issues at all. "A traffic free resort with short transfers & doorstep skiing"
We’ve been to Avoriaz a couple of times, I like the idea that you can ski to the door of all the accommodation and the transfers from Geneva aren’t too long which is great. This time we flew from Exeter and because it’s such a small airport the whole process was very quick. I also like the fact that there’s no traffic in the resort so you can walk everywhere. The area is good for intermediate skiers, probably not so good for advanced skiers and obviously very good for families which they advertise a lot. The restaurant scene is good, the only thing is that you do need to book a table in advance for evening meals. Considering it was half term, I didn’t find Avoriaz to be excessively busy – I’ve been to other resorts at half term that have been a lot busier. "Loads to ski, needs better lifts & signage"
We had loads of snow halfway through the week which was needed. the ski area was perfectly skiable, and even more enjoyable with fresh snow (we had about half a metre there). I would say that it’s a resort for beginner and mid-range skiers. If you want to get the best out of the area you probably need to be a bit more than an intermediate. The area is mostly reds and there are some testing blacks, but you can do the circuit without going near them if you want to. I had previously visited 13 odd years ago, and I think the lifts need a lot of updating. If the weather’s bad the lifts are all open to the elements, with no cover. There are a couple of cable cars and bubbles but it’s really all chair lifts. The signage was awful too. It really needs updating! Amazing resort. Perfect weather, perfect snow. The ski school we used, Evolution 2, were very good and I would highly recommend them. Everyone progressed and had a good time. Avoriaz is great, it’s a fantastic area to ski with a good mix of slopes and lots of off piste. This year aside, it’s usually pretty snow sure – despite the snow conditions (Morzine was pretty much closed) we still managed to ski on the higher runs. Although I come here to ski all week, there are plenty of other things to do. It’s also very accessible. Highly recommended. This was my first time in Avoriaz. It’s fantastic! We went in early Feb and we had a lot of snow, almost too much, and it was very powdery. Can’t complain about that really! The temperature rose while we were skiing so all the powder that had got into our jackets melted into water which wasn’t very nice. I loved it though. It’s beautiful. It’s damn expensive - £8 for a beer (although apparently that was in the most expensive bar in resort). I would definitely go back, we’ve been talking about going again this coming season. It would be a lovely place to take my niece and nephew, there’s a bowl in the middle of town with drag lifts which is great for children. There was a hell of a wind on some days while we were there, I think it might get channelled up from Morzine. They didn’t shut the lifts though. I would definitely go back to Avoriaz! It’s a quite compact resort, small compared to places like Tignes and Val d’Isere and very quaint. Unlike other places that have lots of English people, Avoriaz had mainly Belgians and lots of French. The snow was amazing at the beginning of Feb and we had fresh powder every day – maybe one bad afternoon where we couldn’t ride but that was it. I’d definitely recommend it for snowboarding, it’s a huge area with a big range for all levels and in particular the backcountry is fantastic. Avoriaz is second to none, it’s fantastic! There is such a vast expanse and you can get over to Switzerland and just ski through the valleys. Recommended. "Big and high ski area - just what we like"
Avoriaz is a big ski resort and you can go so high and so far, which is what we look for as a group as we like lots of variety. The snow was brilliant, we had sunshine and blue skies as well as good conditions. We met some people who go back to Avoriaz every year because it’s so good. It was my first time here and I thought it was lovely! There’s no traffic which is really good. It was the end of the season but there was still plenty of slopes open and we had some lovely days of sunshine, we were really lucky with the weather. I’m a novice so I stuck to one area but the rest of the people in my chalet could go all the way over to Switzerland, there’s loads to do as it’s such a big area. In the village there’s a cinema, spa place and outdoor pool. 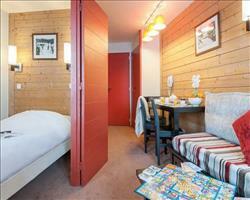 When we stayed in Les Menuires last February, we visited Avoriaz then and liked it. This February we were won over by Austria over French ski holidays, but we still had a great New Years in Avoriaz. I would recommend skiing here, especially for families as it’s very good if you have kids. The only thing is we couldn’t find a single clothes shop when our luggage got lost by the airline. But overall it’s a great resort, with a very good lift system and lots of nice restaurants. Avoriaz is a very nice resort, we were quite unlucky with the weather this year (pretty much a white out) and the week coincided with the French school holidays so it was busy – but we still enjoyed it! "Better snow than Morzine (which had none!) & nice friendly resort"
I’m glad that we went to Avoriaz over Morzine as there wasn’t any snow in Morzine, it was all green! Avoriaz is a really nice, friendly place and it’s easy to get around. There are no cars or taxis so you have to get the horse and carriage to get around which is quite cool. There are also loads of pedestrian stairways and escalators to get around as everything is on snow. The Portes du Soleil ski area is massive, one of the largest in the world. If we’d gone in Jan-Feb rather than April, we would have done off-piste but as it was we had a good time anyway and skied over to places like Chatel. "Dream to learn in Portes du Soleil"
Learning to ski in Avoriaz was a dream; we stayed in the Portes du Soleil studio apartments so the ski in and ski out was fantastic, and the fact that you could ski through most of the town made getting around fun and easy. The huge beginners’ area also helped enormously, and the variety of blues and easy reds meant that you could progress at any speed during the week and you would be constantly tested. All in all, a great resort for families with members looking to learn.